Our next intern to be introduced for our summer blog series is Alexa Rash. Alexa decided to look into interning with the Greater Wilkes-Barre Chamber of Commerce after working on a project about Wilkes-Barre’s T.H.I.N.K. Center during a college course. Currently, Alexa attends Penn State Wilkes-Barre and majors in business administration with a concentration in marketing and management. She will begin her senior year this fall. One of her main reasons for starting an internship with the chamber is the chance to interact and network with diverse groups of people. 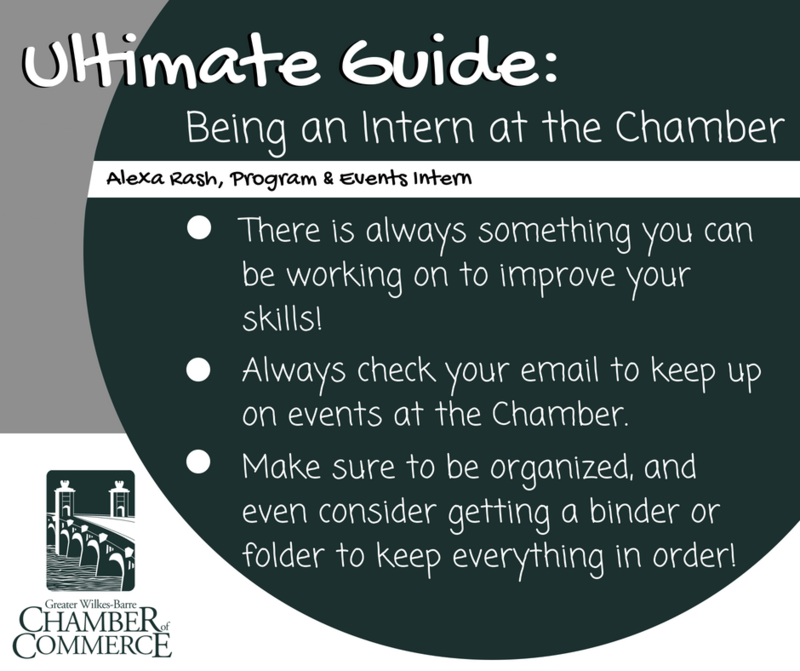 Likewise, by the time she completes her internship with the chamber, Alexa hopes to learn additional skills on how to plan and execute events on her own. Alexa works as a Program and Events Intern at the chamber. She has the opportunity to work with Ahmad Ali, the Program and Events Coordinator, and Meghan Flanagan, the Communication and Resource Manager. Her typical day consists checking her email (see tip #2! ), and then corresponding with Ahmad and Meghan to see what tasks she needs to complete for the day. Over the course of her internship, Alexa has been working on organizing for the upcoming Golf Tournament and Small Business Saturday: Christmas in July events. For the Golf Tournament, she has been calling businesses and teams who participated last year and seeing if they wanted to sponsor or play in this year’s tournament. For Small Business Saturday: Christmas in July, Alexa has been actively reaching out to businesses and seeing if they wanted to offer discounts for the event. Overall, interning at the chamber has allowed Alexa to truly understand the importance of organization in the business world. 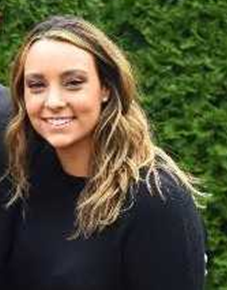 She always tries to keep all of the events she is working on as organized as possible, which she believes helps contribute to a successful event. Alexa plans to maintain this mentality in her future career. When she’s not interning at the chamber, Alexa loves swimming and hanging out with her dog, Kenzie, and her friends and family. She also enjoys sports, working out at the gym, and just being outdoors in general. During her internship at the chamber, she hopes to take the opportunity to learn as much as she can about programs and events. In the future, Alexa hopes to be working in the marketing or management field and possibly furthering her education as well!